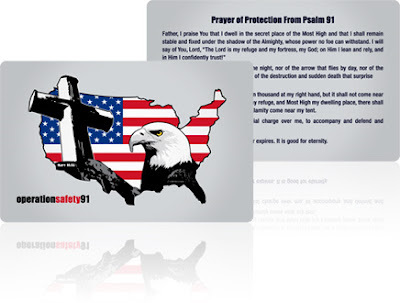 Operation Safety 91's heart is to produce a Psalm 91 plastic, credit-card-sized prayer card for Responders and their spouses. Responders can carry it on their person and will be able to use it at any time. We plan on making these cards available as soon as corporate funding and private donations become available. If you would like to partner with this worthy project to protect our Responders, please let us know!